Rosemary Heidenfelder, 85 years old, faces eviction from her home of 28 years, for failing to pay a $342 bill that she was not aware of. On Friday, June 27, at 9 am, she will be in court to fight the threatened eviction. If you can, please support Rosemary by attending the court hearing. 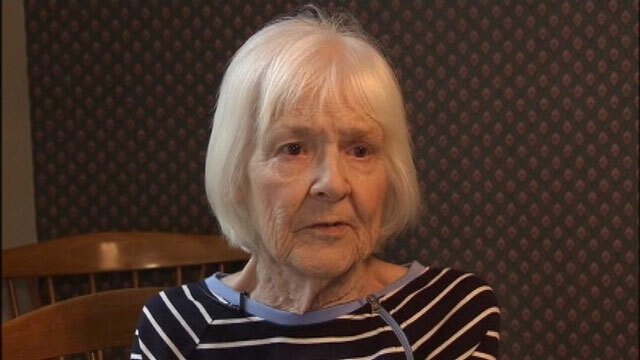 SHELBY TOWNSHIP, Mich. (WJBK) – Rosemary Heidenfelder has lived in her Shelby Township home since 1985 but says she may be kicked out for something that isn’t even her fault. Heidenfelder says she could be forced out of her home because of an unpaid bill totaling $342 for repairs she had done through her condo association’s management company, a bill she says she never received. As all of her bills are automatically deducted this one wasn’t because of specialty repairs to roofs and roads within the complex. “It’s strange that someone from the management company just didn’t even come out to her house prior to a lien being filed for two missed payments,” says Heidenfelder’s attorney, Michael Balian. Balian says Heidenfelder was never notified of the lien a year ago or that her home was going into foreclosure and was sold at a sheriff’s auction for about $35,000 back on July 12th. “You don’t have to serve them personally, you don’t have to serve them with certified mail – you just have to post on their door,” says Balian. The management company’s processor says a notification was posted on her door. Heidenfelder says she never saw it and never knew any of this until receiving a letter in March. FOX 2 reached out to the condo’s management company, Kirkpatrick Management, and the attorney representing Conifer Investments. We did not receive a response at the time of this report. Meanwhile, as Heidenfelder thanks a Macomb County judge who held off the eviction this week she prays she can still call this place home next week. Balian says they will be in Macomb County Circuit Court next week to try and extend the agreement for Heidenfelder to stay in her home until this mess is sorted out, but that request could still be denied.